I hope everyone had a great holiday break! SHS is looking forward to a great 2019! Our winter sports teams are in full gear. Check out our athletic page for the latest games and times. The SHS Parent Council has their monthly meeting on Wednesday, January 9th. We will be discussing the future of education and Thomas Friedman’s book That Used To Be Us. The Smithfield Schol Committee has their first meeting of 2019 on Monday, January 7th at 7 pm in the media center. 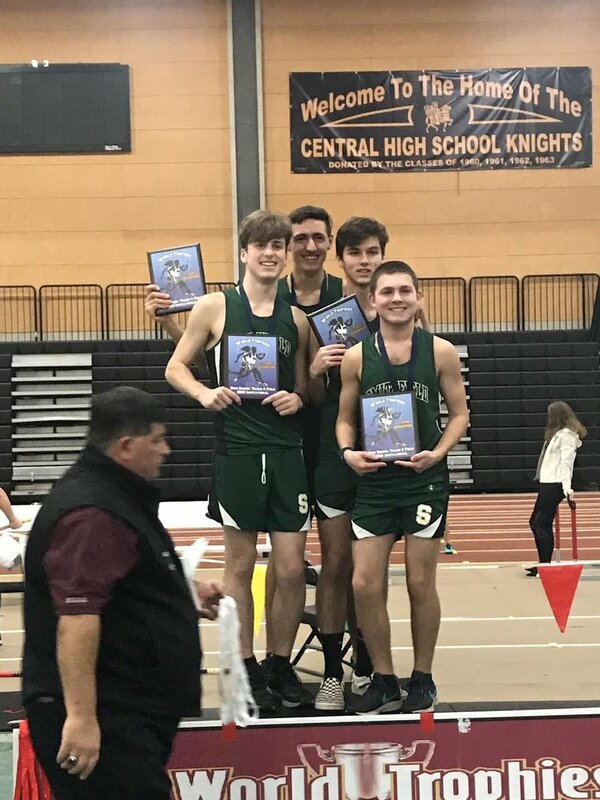 Congratulations to the boys 4 x 800 relay team for breaking a school record this past weekend! They placed 1st at the World Trophies Invitational with a time of 8:47. Great job Chris Olean, Ethan Maione, Tim Ferron, and Ethan DeBassio!